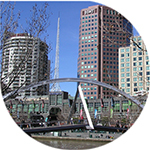 The Melbourne Arts Precinct has long been a place of arts, entertainment, leisure and gathering. The people of the Kulin Nations have met here for thousands of years. 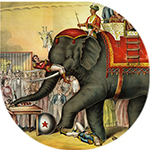 From the late nineteenth century, circuses, dance halls, an ice-skating rink and a waterslide were all established there. 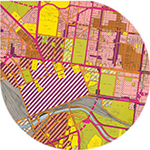 In 1946, the State Government set aside land for cultural purposes where the National Gallery of Victoria and Arts Centre Melbourne are now located. Today, more than 20 of Australia’s best arts organisations are based there, and approximately three million people visit the precinct every year. 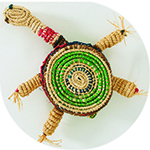 The people of the Kulin Nations have gathered on the site for thousands of years and continue to do so today. 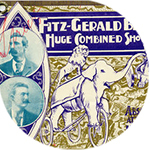 1877 Cooper and Bailey’s Great American International Circus first pitch their tent next to St Kilda Road. 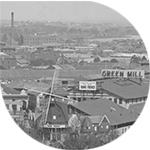 1901 Fitzgerald Brothers’ take over the site, first opening the Olympia circus building and later the “fashionable rendezvous” Prince’s Court, which included a Japanese tea-house, toboggan, a huge water chute and an open-air theatre. 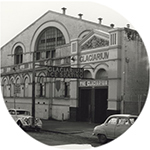 1906 The Glacarium ice skating rink opens on City Road. Dancers skate to orchestral music, and the rink later plays host to the first game of ice hockey in Australia. It is also used for dancing and film screenings. 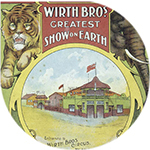 1907 Wirths’ Circus takes over from Fitzgerald Brothers’. 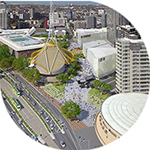 They become a mainstay of Melbourne entertainment for the next fifty years, adding a roller skating rink and cinema. 1926 Olympia is converted into the Green Mill dance hall, replete with replica Dutch windmill and a grand ballroom graced with a fernery and waterfalls where 3000 patrons could dance the night away under a ceiling of twinkling stars. 1946 Wirths Park reserved for cultural purposes. 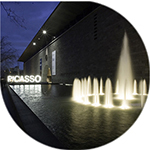 It would be more than 20 years before the first cultural institution opens on the site. 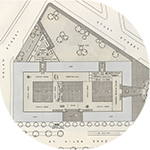 1960 Architect Roy Grounds’ master plan for the Victorian Arts Centre Complex is completed. It includes a new gallery, concert hall and theatres building topped with a landmark spire. 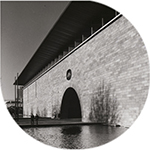 1968 NGV opens. Such is the public affection for the water wall and the world’s largest stained-glass ceiling that it is heritage listed just 14 years after it was completed. 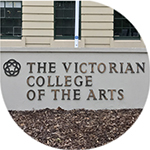 1973 The Victorian College of the Arts is established. 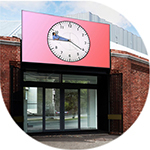 Unique among Australian art schools, the VCA offers experimental studio and performance-based tertiary courses in visual arts, music, dance, drama, film and television, and creative arts. 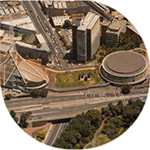 1982 Melbourne Concert Hall opens (now Hamer Hall). The city’s premier venue for orchestral performance seats 2500 people. 1984 Arts Centre Melbourne theatres building opens. 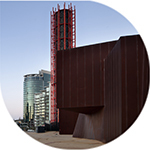 Under the city’s landmark spire you’ll find the State Theatre, Playhouse, Fairfax Studio, Australian Music Vault, and a host of other exhibition and performance spaces. 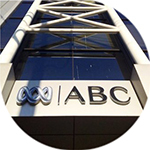 1988 Australian Ballet House opens. 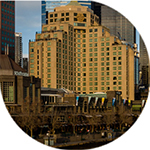 It is home to the Australian Ballet and Australian Ballet School. Both are world leaders in performance and education. 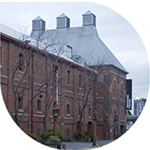 1990 Playbox Theatre is renamed Malthouse Theatre after its new home on Sturt Street, which was once a brewer’s malthouse. The company produces innovative live experiences that provoke and entertain. 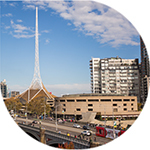 1990 Southbank Promenade opens, facilitating the urban renewal of Southbank that continues today. 1992 Southbank footbridge opens (now Evan Walker Bridge). This dedicated pedestrian bridge over the Yarra is the first of several to connect the city to the emerging arts precinct of Southbank. 1994 ABC Southbank Centre opens. In launching the centre Prime Minister Paul Keating predicts that Southbank will one day become a significant arts precinct. 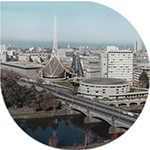 1996 New Arts Centre Melbourne spire completed. Changes to the original design of the Theatres Building meant the spire was not constructed as envisaged. Today it reaches 162 metres as originally intended. 2002 The Australian Centre for Contemporary Art opens on Sturt Street after almost 20 years in a former gardener’s cottage on The Domain. 2003 NGV International reopens after a three-year redevelopment, following the construction of a dedicated Australian gallery at Federation Square. 2009 Melbourne Recital Centre and Southbank Theatre open. The Recital Centre is the city’s second-largest classical music auditorium. 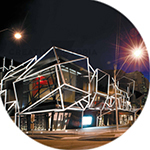 Southbank Theatre is home to the Melbourne Theatre Company, the oldest professional theatre company in Australia. 2013 Testing Grounds opens. 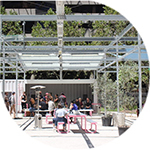 This experimental outdoor arts space activates the vacant site at 1 City Road. 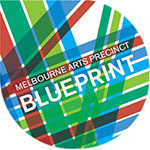 2014 The Melbourne Arts Precinct Blueprint is released, identifying key Southbank sites for potential development including the Victoria Police stables, the CUB/Fosters building and 1 City Road. 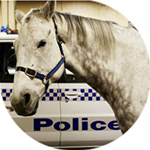 2018 The Victoria Police stables reopen as 170 studios and flexible exhibition spaces for VCA students. 2018 Buxton Contemporary opens, a gift of philanthropist Michael Buxton and family. 2018 The Victorian Government announces an investment of more than $200 million over the next two years to reimagine the Melbourne Arts Precinct, including the purchase of the former CUB/Fosters building.